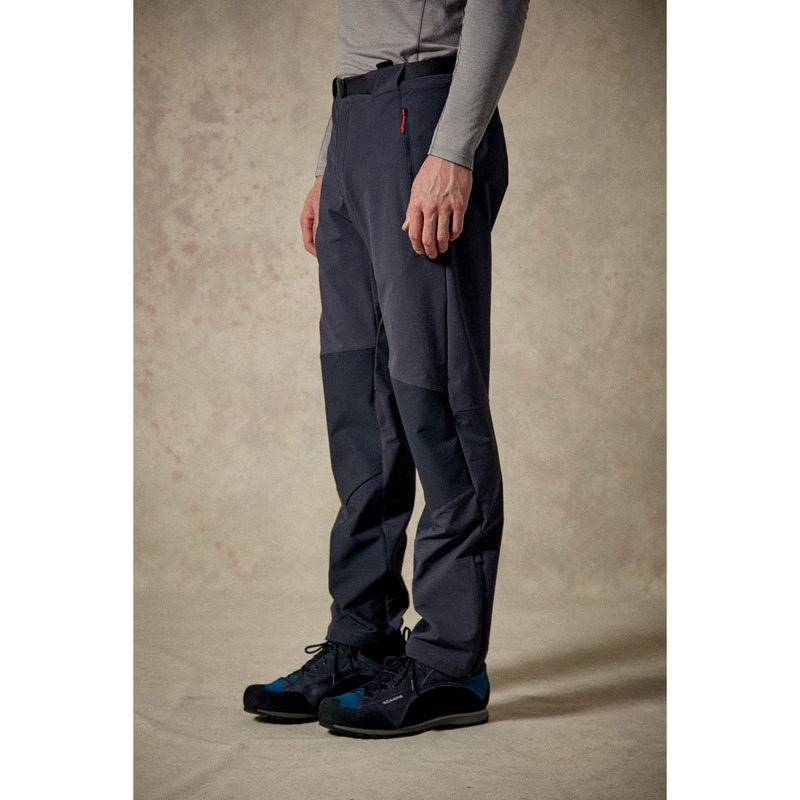 The Rab Spire Pants are completely movement-orientated - i.e., built for all-day trekking across mixed ground to climbing technical terrain on rock and ice, and everything in between. 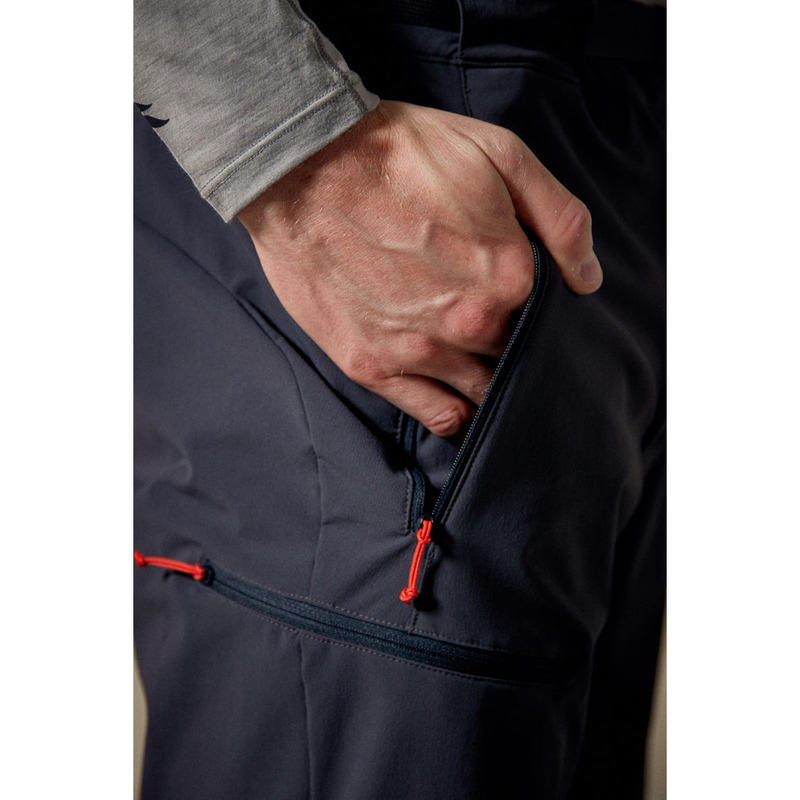 These midweight, durable softshell trousers feature a Matrix™ double-weave stretch fabric suited to slugging up steep terrain or bridging wide gaps - your choice - and other additions such as the diamond gusset and articulated knees enhance movement even further. 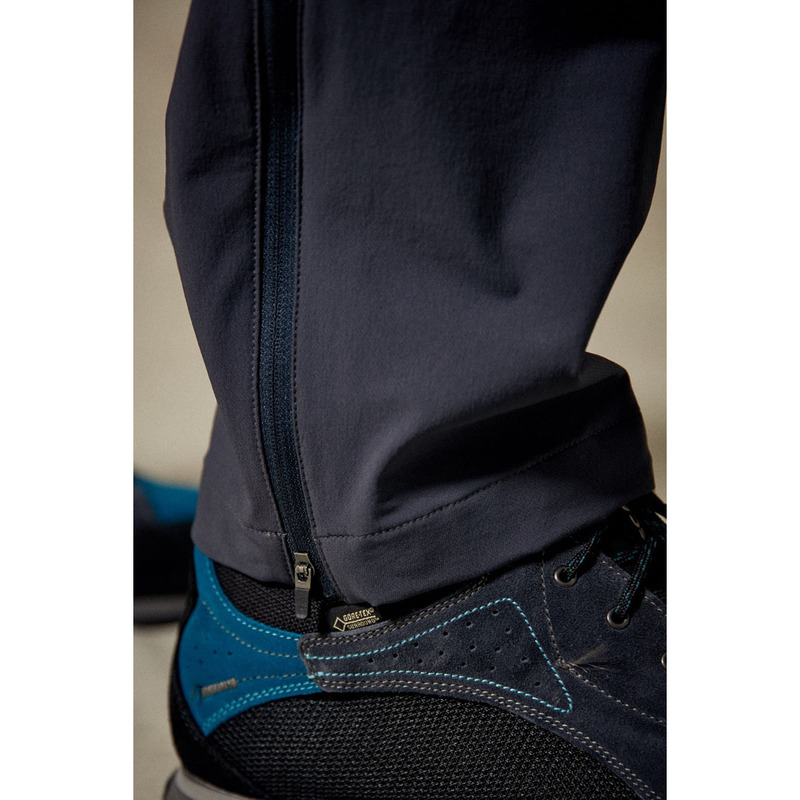 Other features include reinforcement panels on the knee and instep and a YKK® expanding leg closure to fit over large boots or facilitate heat dumping. 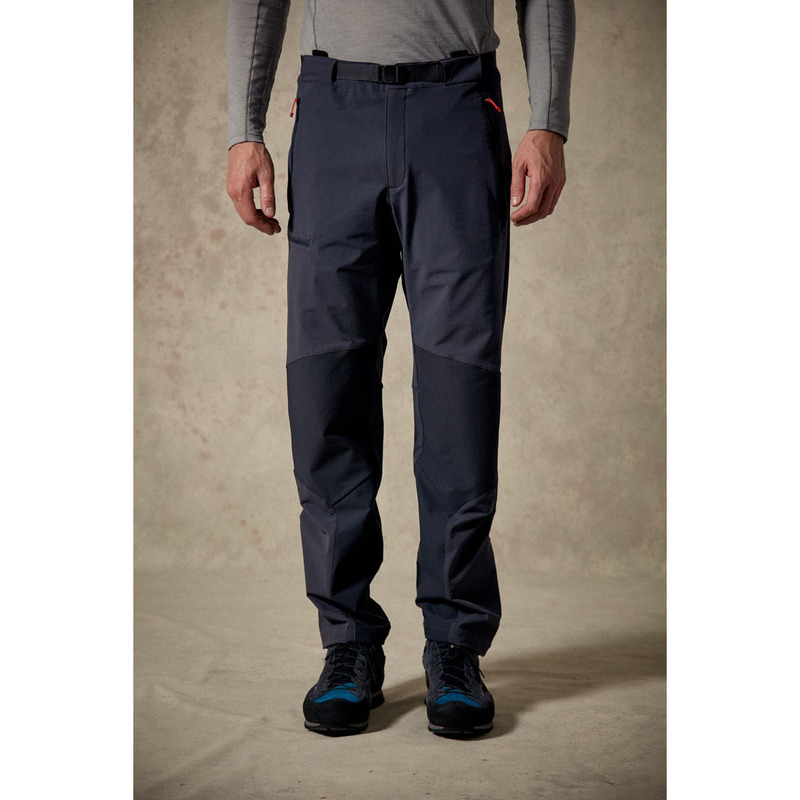 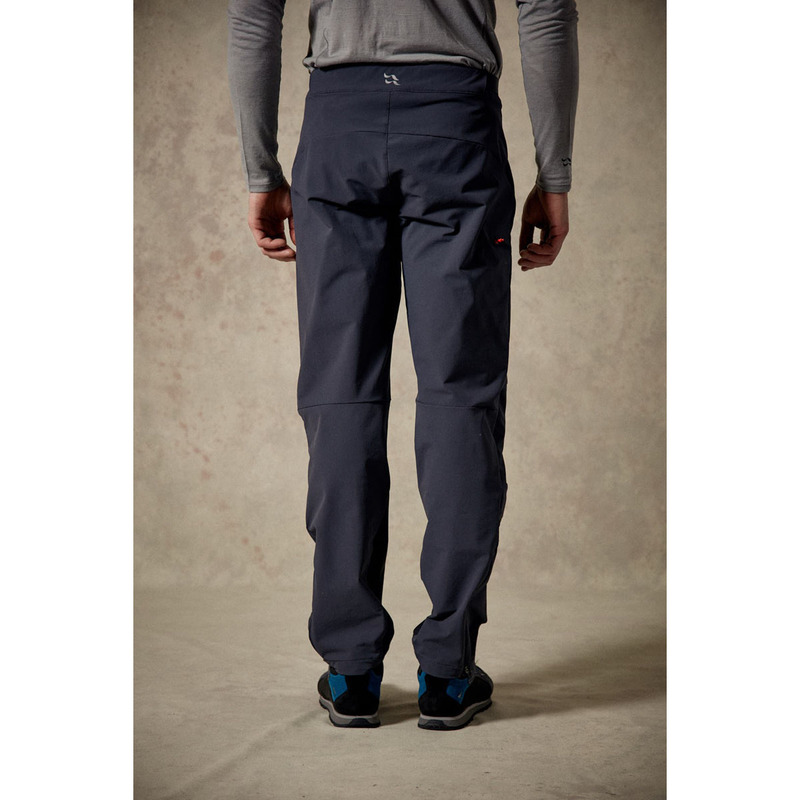 The Spire Pants will suit any climber, mountaineer, or trekker on all-day expeditions in drier conditions, prioritising movement and comfort first.